When searching for the best furniture shops in Essex, you’ve got to know what ‘best’ means for you. For instance, are you most concerned with finding authentic one-of-a-kind pieces? Or are you most interested in a wide selection and convenience? Perhaps, keeping the budget down is your biggest priority. Figuring out where you stand in terms of price, quality, style and convenience will help you find the ‘best’ furniture shop in Essex for you. On the one hand, the unique and design-led options of independent shops might suit you perfectly. On the other hand, the convenience and large selection of mass-produced options might be better for you. Likewise, your personal taste will lead you to certain shops over others, taking you to sellers of more traditional or more mid-century or more contemporary pieces. So, with all that in mind, we’ll guide you through Essex’s best furniture shops. Our region hosts a number of larger high street retailers. High street furniture shops offer some great advantages. For instance, large showrooms with a wide selection of items. Moreover, while pieces are mass-produced, they can often be customised with fabric and wood selections. Firstly, at the higher-end is The Cotswold Company in Chelmsford. Located alongside an array of luxury brands and riverside eateries in the newly opened Bond Street retail development, their large showroom is easy to get to. We make timeless, rural classics, for people whose hearts are in the country, and who care about the little things in life. While inspired by the work of William Morris and the timeless beauty of the Cotswolds, The Cotswold Company is global. The organisation uses an international supply chain, and many of its items are manufactured in The Far East. This can help reduce costs to the consumer while offering a wide range of options. If the convenience and selection of the high street appeal to you, but not the prices, you’ve got options. Furniture outlets and/or warehouses can provide a big selection of lower-cost pieces. For instance, the budget-friendly Furniture Outlet or Furniture Kingdom might be great options for you. …we sell items from many of the UK’s leading furniture suppliers at hugely discounted prices. Retailers in this niche often offer end-of-line items from high street furniture shops. So, if you like the look of some high street pieces, but not the prices, outlet retailers could be a perfect spot for you. Buying second hand is one of the best ways to get furniture at a great price. Second hand furniture shops in Essex may not offer quite the convenience of the high street, after all, you never know what stock is available. However, if great bargains and interesting pieces are your top priorities, nothing beats second-hand furniture. Essex includes some large second-hand dealers such as Chapel and Chapel or Les & Gary’s. Businesses like these often offer house clearances. This allows these dealers to source a large amount of second-hand stock. In turn, you’ve got a better chance of finding the kind of piece you are looking for. Second-hand shopping can also help you to support local charities working in your community. For example, Lighthouse Furniture in Essex works with the local council to distribute good quality second-hand furniture to local people in need. Purchasing from organisations like these have a number of advantages. Firstly, you get a great price on your furniture. Secondly, you contribute to helping your community’s more vulnerable members. Lastly, reuse helps keep older furniture out of landfills and is a very sustainable way to get your furniture. A really special thing about furniture shops in Essex is the number of amazing independent retailers we have. Many of Essex’s most highly rated furniture shops come from their ranks. Two of Essex’s larger independent furniture shops have been serving our region since the Victorian period. In particular, Hatfields Home Furnishers and Roomes Furniture and Interiors have operated since the 1880s. While Hatfields offers a number of mid-century inspired designs, Roomes offers some American-style reclining sofas and other contemporary furnishings. 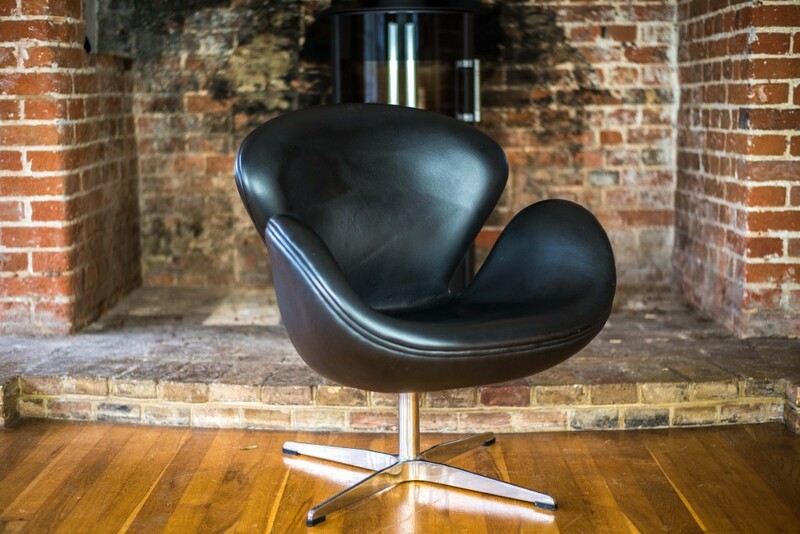 Independent furniture shops in Essex are also the place to find the most unique pieces. From bespoke pieces made by Priest Brothers to original pieces from iconic mid-century designers, independent sellers trade in these unique pieces. So if sourcing furniture that doubles as art is your priority, then establishments such as our own humble proprietorship, MRS FOX, cannot be beaten. While the constraints of independent retail may not offer the convenience of high street and outlet furniture shops, they can provide you with something special. Namely, unique, authentic pieces. Nothing compares with the style, craftsmanship and quality of original mid-century pieces or custom-made furniture. For some, that’s worth waiting for. Looking for stunning modern furniture in Essex? MRS FOX in Great Dunmow is the place to come. We source the finest mid-century and Art Deco art and furnishings. Viewing by appointment only.